Italian carburetor brand bushel or membrane, parts and products also turning around the carburetion. This very old brand offers carburetors certainly expensive but high quality, stable, easy to adjust, efficient and less greedy than the low-end carburetors. 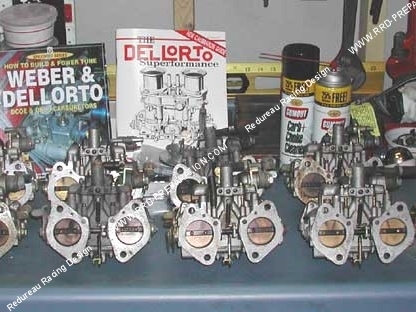 Whether the SHA, the PHBG, the VHST or VHSH through the PHBL, PHBN ... DELL'ORTO will have in its catalog carburetor you! Despite the increasingly tough competition from Asia, remains unquestionably DELLORTO carburetor quality or we find the parts and spare settings, there is also the original mounts of many 2 wheels that this is the small 50cc as booster or nitro or motorcycles more racing like Aprilia RS 125cc mounted ROTAX engines. 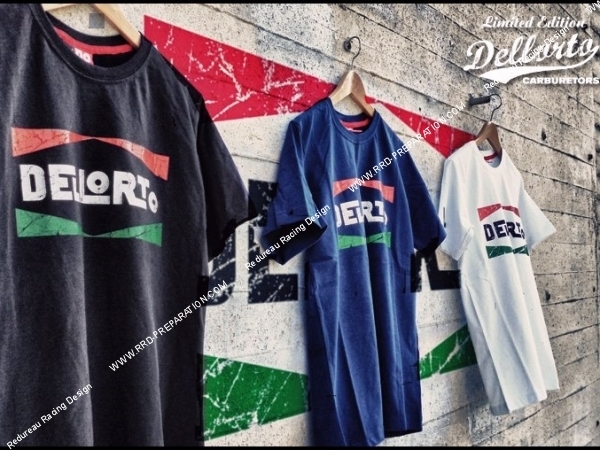 A little history about the brand ... (source info site DELLORTO Italy). In the year 1933 it was produced the first carburettor acronym SC 26 and commercialized as Rex. The three founders have produced the first carburetors for some of the largest motorcycle manufacturers like Guzzi, Benelli, Piaggio and Aprilia. Dellorto covers all production stages - casting, machining and assembly - the realization of a strategy that is not limited to the embodiment of the components, but controls the complete production chain. In 2013, this is the year of the 80th anniversary and continues its business Dellorto history with major partnership. Due to a technical agreement with the Bosch Group in 2012, Dellorto begins production of motorized throttle body for both customers, applying high and demand in the secondary market. The partnership expands the distribution of Bosch products Dellorto through the sales network in the domestic market.